Returning for its second year to overtake the streets of Toronto from September 21-27, Elevate will once again showcase Canadian tech to the world. Expanded this year from three days to a full week, with over 300 speakers, 250 host venues, and more than 10,000 expected guests, Elevate has a lot to offer. As always, BetaKit has you covered. 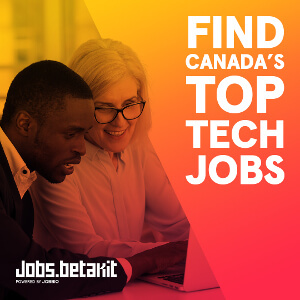 While there’s much more to do and see at Canada’s tech festival, BetaKit has highlighted the five things you simply can’t miss at Elevate this year. Returning to the Sony Centre for the Performing Arts September 25, Elevate Main Stage sets the festival’s agenda, presenting global tech leaders to discuss how technology is changing our future. Vice President Al Gore will deliver a keynote on technology’s capacity to drive global change. This year, there might be no better example than Vice President Al Gore, who will deliver a keynote on technology’s capacity to drive global change, and the need for sustainable innovation. Vice President Gore will then sit down for a fireside chat with none other than former Google and Alphabet executive chairman Eric Schmidt. Suleman himself will speak to Bumble founder and CEO Whitney Wolfe Heard on the Elevate Main Stage about exiting Tinder to create one of the biggest dating apps in the world. Of course, Elevate Main Stage will also feature some of Canada’s tech leaders. One highlight: Shopify CEO and founder Tobi Lütke speaking with Minister Navdeep Bains about how Canada can win on the global stage. Taking place September 26, Elevate Educate breaks out the Main Stage conversation into individual tracks across Toronto, each dedicated to a different aspect of tech. This year features more than 10 different tracks, ranging from AI to FinTech, Blockchain to Cannabis, and everything in-between. 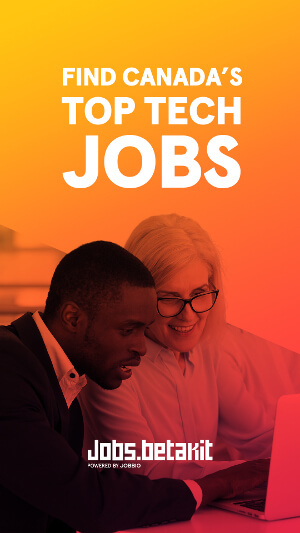 Notable highlights include Elevate Smart Cities, which will unpack how cities must innovate with technology to support the growing demands of urbanization, and feature speakers from Sidewalk Labs (responsible for the forthcoming Quayside project), and Uber (which just committed to investing $200 million in Toronto). Continuing with the transformation trend is Elevate Digital Transformation, which will focus on how billion-dollar companies must overhaul their approach to business in the face of rapid technological change. Featuring speakers from Cisco, Condé Nast, Capital One, CBRE, as well as startups like Sampler, FreshBooks, and Influitive, BetaKit is proud to be an Elevate Digital Transformation media partner! 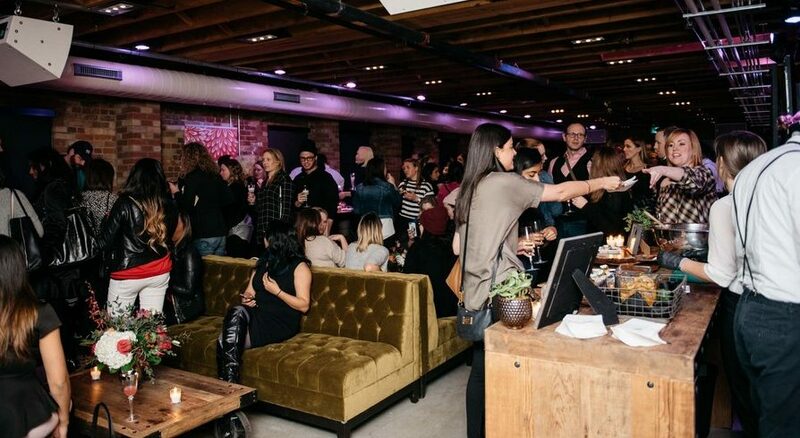 Last year’s King West Social was Elevate’s highest-rated event, and with good reason. Learning about the future of tech is a much more social experience… when you’re social! Elevate King West lets Toronto’s tech community take over one of the city’s most vibrant districts to host Elevate attendees. This year contains a variety of options depending on personal preference. You could share a cocktail with Pepper the robot at Baro. You could catch a musical performance by Wyclef Jean at Uniun after his Main Stage appearance. How about members of Broken Social Scene, Sloan, and Choir!Choir!Choir! playing 80’s pop at TWG’s office? Looking for something a little more downtempo? Our friends at Lighthouse Labs are keeping things very Toronto 2018 with Snack & Field, featuring arcade and board games, plus an AR-VR setup provided by House of VR. Health conscious? Squeeze in a SoulCycle class before carb-loading (no, seriously). Elevate has expanded on its goal to educate the tech community with Masterclass sessions, a new addition to the festival this year. BetaKit is proud to be a media partner of the Elevate SaaS Masterclass on September 27, which will bring the leaders of some of the fastest-growing and most influential SaaS companies in North America to exchange insights and ideas on what it takes to build a successful SaaS company. Focused on actionable insights, the day will feature BlueCat Networks’ co-founder Michael Hyatt delivering a keynote on successful leadership, Lightspeed CFO Brandon Nussey speaking about scaling organizations beyond the startup phase, Shopify’s Brandon Chu on scaling product management teams, and Wave HQ’s Ashira Gobrin sharing tips on how to leverage today’s millennial workforce. While the Elevate SaaS Masterclass is invite-only, BetaKit has your hookup: request an invite here. Okay, we’re cheating. 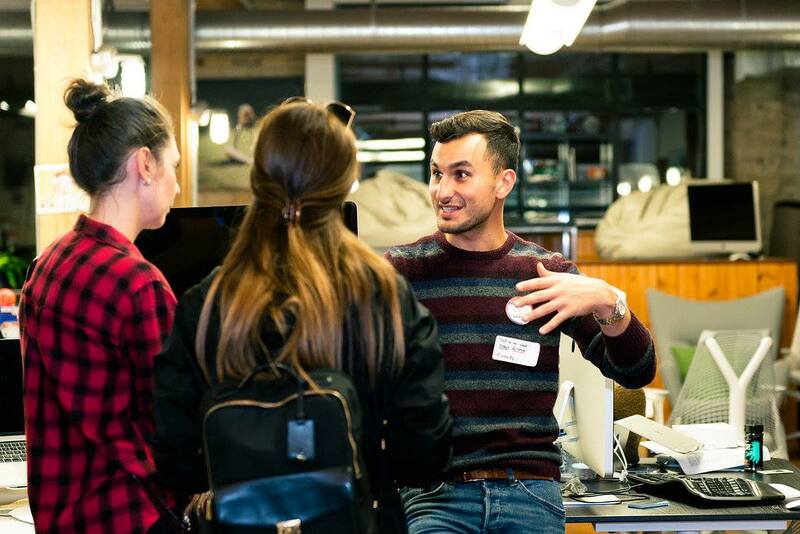 Both taking place on September 27, NewCo and Startup Open House are two different Elevate events. But they’re two different events with a similar goal: the Toronto tech community opening its office doors to let the world in. Whichever you choose (choose both! ), make sure you close out Elevate 2018 with new connections. BetaKit is an Elevate media partner. As such, we have sweet hookups. 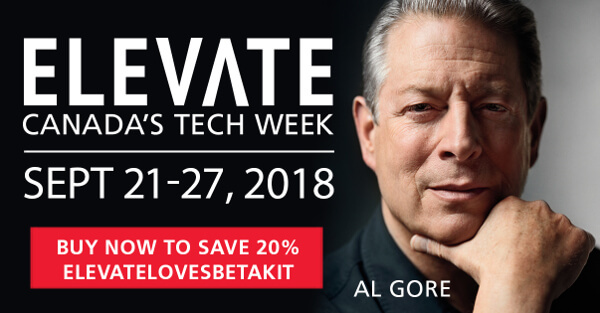 Use this link, the banner below, or the code ‘ELEVATELOVESBETAKIT’ to get 20 percent off your Elevate tickets. Are you a startup? Use this link for a special BOGO deal. You’re welcome!